A free music festival in support of the North Cascades Smokejumper Base will be held at John Doran’s ranch, just north of Twisp on Highway 20, on Saturday (June 16) beginning at 3 p.m. The Methow Valley State Airport between Twisp and Winthrop will close next week for more than a month while the runway is repaved. 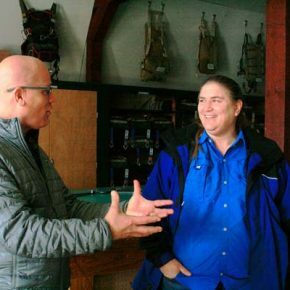 Improvements at the North Cascades Smokejumper Base (NCSB) are ranked as the top priority for aviation-related infrastructure funding this year by the U.S. Forest Service’s Pacific Northwest Region, the regional office said Tuesday (May 1). A $3.9 million federal grant has been awarded to the Methow Valley State Airport to repave the runway, widen taxiways and rehabilitate apron areas. 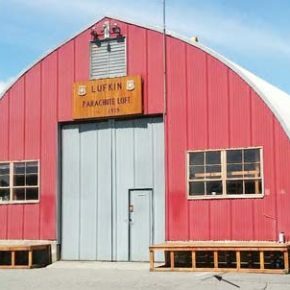 Home to the first experimental fire-fighting jumps in 1939, the North Cascades Smokejumper Base (NCSB) will remain at the site it has occupied in the Methow Valley for the past 77 years — at least for the time being, and only if funding can be secured for needed upgrades.